The best camping in Connecticut. From mountain peaks to the open beach, little Connecticut's got it all. 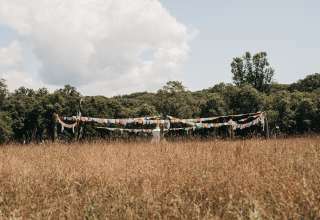 From the Berkshire Mountains to the scenic beaches of the Long Island Sound, Connecticut brings together all the best of New England camping. 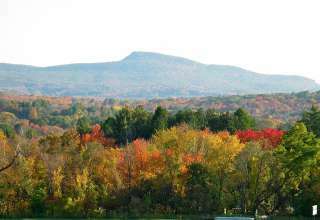 A trip to Connecticut's northwest corner brings easy access to Berkshire Mountain camping. With a patchwork of national forests and state parks covering these hills, it's easy to find the perfect campsite high in the mountains, deep in the woods, or right on the banks of a swimming hole. 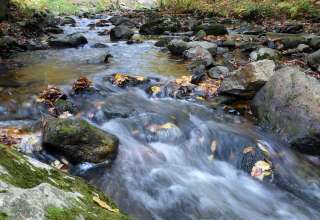 The Connecticut River runs right through the state, and if you travel by kayak or canoe, it's easy to find boat-in campsites along the water where you can hunker down right beside the wide, ambling river. Rocky, jagged coastline forms Connecticut's border to the south, and the beach camping can't be beat. Set up your tent right on the open sand and enjoy the calm waters of the Long Island Sound. New England locals and visitors from far off alike are bound to be impressed by the diverse camping opportunities of this quaint state. The official insect of Connecticut is the Praying Mantis. PEZ candy is produced right in local Orange, Connecticut. In 1800, Connecticut was only 10% forested, but today over 60% of the state is covered in forest. Connecticut has 332 miles of jagged, scenic coastline. Head to Bear Mountain for the highest peak in all of Connecticut.